Start a SADD chapter in your high school. For 30 years, SADD has been committed to empowering young people to lead education and prevention initiatives in their schools and communities. Founded as Students Against Driving Drunk in 1981 in Wayland, Massachusetts, SADD has grown to become the nation’s dominant peer-to-peer youth education and prevention organization with thousands of chapters in middle schools, high schools, and colleges. 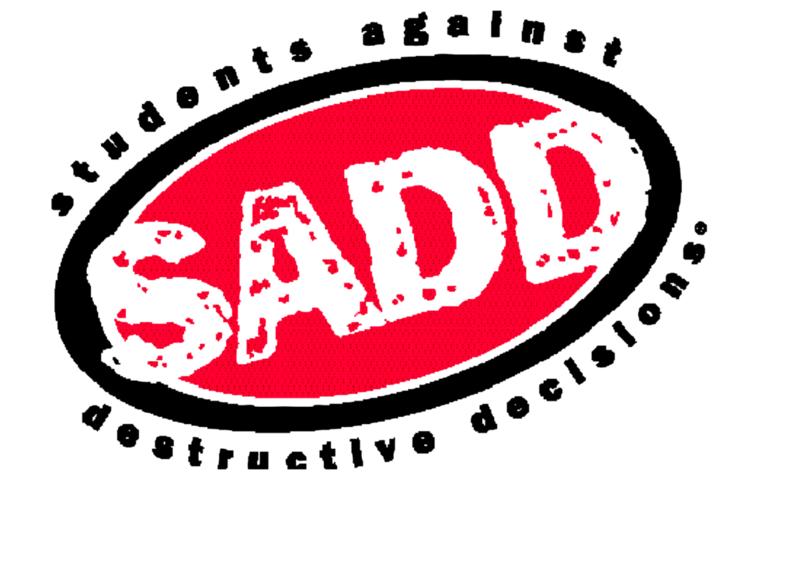 In 1997, in response to requests from SADD students themselves, SADD expanded its mission and name, and it now sponsors chapters called Students Against Destructive Decisions. SADD continues to endorse a firm "No Use" message related to use of alcohol and other drugs. With its expanded focus, SADD now highlights prevention of all destructive behaviors and attitudes that are harmful to young people, including underage drinking, substance abuse, impaired driving, violence, and suicide. SADD’s unique approach involves young people delivering education and prevention messages to their peers through school- and community-wide activities and campaigns responsive to the needs of their particular locations. Projects may include peer-led classes and theme-focused forums, teen workshops, conferences and rallies, prevention education and leadership training, awareness-raising activities and legislative work. Independent studies have shown that students in schools with an established SADD chapter are more aware of, and informed, about the risks of underage drinking, other drug use, and impaired driving. Students in schools with a SADD chapter are also more likely to hold attitudes reflecting positive reasons not to use alcohol. 1. Identify leaders within your high school who are interested in starting a SADD chapter. Begin by requesting participation from other club presidents, leaders, and team captains. 3. Fill out all required portions of the online web form and click "Submit Registration". 1. Establish a SADD chapter in your high school. This includes: Scheduling an initial meeting for club leaders; coordinating a recruiting event to promote interest in club membership within your institution; creating (at least) one social media account dedicated to your club (Ex: Facebook or Twitter); coordinating (at least) one community service project focused on raising awareness against destructive decisions (Ex: Produce a Public Service Announcement, participate in a radio interview, sponsor a walk-run event in support of safe driving); and produce a calendar of meetings that will occur over the course of the academic year. Preliminary points will be given after the completion of these initial steps. Following the awarding of preliminary points, the Club must provide a year-end summary of meeting minutes/notes and club activity at the conclusion of the academic year (Note: points given initially for club formation may be reclined if the Club is not deemed to have demonstrated adequate community activity over the course of its inaugural year). 4. Upload documentation (signed by the Club supervisor) and photographic evidence (if applicable) demonstrating the creation and activity of your high school's SADD chapter. 5. Start planning your SADD programs!